In the age of Information technology, we can share and watch videos and movies anytime. The drawback is to find an all-in-one video converter with full support for all the devices out there. If you have gone through same problem, then the search has come to an end. Wondershare Video Converter Ultimate software by Wondershare is one of ninjas out there that solves all the issues regarding video conversion. WVCU supports 150 different formats and company claims that it is 30 times faster than other converters. 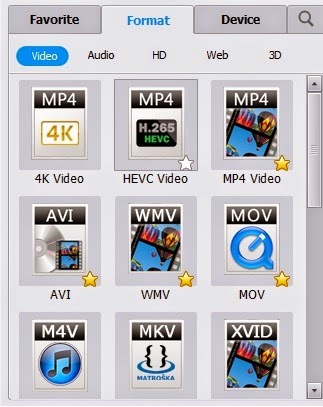 In current competitive market where there are lots of freeware video converter like Freemaker and Any Video Converter, WVCU do make a sounding presence.It’s wide range of functionality and supports of devices surely over par the likes of freeware and other competitors like Xilsoft video converter. The interface is simple and clean. For new users, Wondershare Video Converter is the right choice as it’s intuitive and full of goodness in terms of functionality. The User Experience is top-notch and the UX/UI Engineers have done a great job. Let’s start digging the software functionality one by one. The software doesn't limit itself to just converting videos but also supports downloading videos, watching, transferring, editing and creating all types of video files. The DVD tool is the core of the application. It enables users to convert video to any format for any particular mobile device type. It also supports video conversion to gaming system with NTSC and PAL formats. The latest version doesn't let you copy or edit the commercial DVD and this can be seen as one of the drawbacks of the software. Audio extraction is also supported from DVDs and video files that let users to create MP3 etc. The DVD tool enables you to record 3D videos as well. This makes the software ready for next generation entertainment. The built-in downloader let you download YouTube videos and give you ultimate freedom to remix, edit the video and make everything look the way you wanted too and then finally host on the internet. It also supports other online video types like flash but fails to support some Silverlight formats. 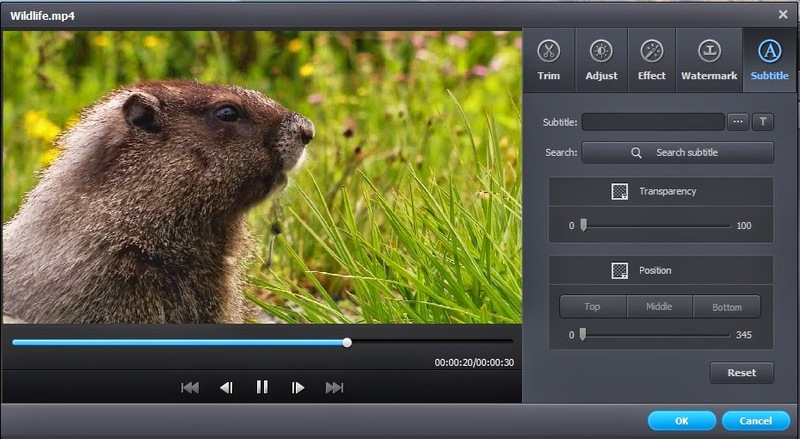 Wondershare media player scores a home-run when compared to other quality players like VLC. Feature-rich and clean interface sweeps more points in favor of the converter. Another great feature that the software offers is the Video Editor that provides you basic video editing capabilities. The tool enables you to trim videos, add watermarks and subtitles to your videos and adjust contrast and brightness. The software lets you convert and burn at the same time. For people out there with fast multi-core processor setups, the software supports parallel conversions, taking full advantage of hardware available. The Wondershare Video Converter also let you use custom template system that features few default menu templates for custom DVD compilation with custom background picture and music. It also let you choose font size, style and effects. In short, this is must have video converter for anyone out there. There is no loss in trying out the free version which comes with watermarks and other limitations.Wondershare has done a great job in building a customer oriented video converter with additional functionality that other converters fail to deliver. Supports all video formats and conversion. PowerDVD 14 extremist brings out the most effective all told of your media. We tend to love however it makes navigating and viewing digital media straightforward. If you wish to plug your HD TV into your laptop through associate HDMI port, this computer code preserves the video and audio quality of your videos. Better of all, you get many nice options and tools for observation movies, as well as video up scaling and 3D video. PowerDVD is that the best Blu-ray player computer code we tend to tested. PowerDVD fourteen extremist supports the most recent audio and video technology to make sure best Blu-ray viewing notwithstanding your output configuration. First off, the Blu-ray player computer code supports all high-definition audio formats, as well as psychosis and Dolby Digital – the 2 foremost standards in surround sound technology. Moreover, it provides HDMI one.4 output for lossless seven.1 surround sound once your laptop is connected to associate external viewing device. To any amplify sound quality, you'll specify your speaker setting and output mode, like stereo, surround sound so forth. We tend to were particularly affected with the software's advanced electro-acoustic transducer technology that's designed to duplicate surround sound. Listening through headphones delivers cinema-quality sound that produces are feeling such as you are right within the thick of the action. Sure, CyberLink PowerDVD 14 extremist will play Blu-ray Discs, however it wants quite that to line it except for the free media players on the net. Luckily, PowerDVD offers one thing that no free program does: a virtual platform. This permits you to observe high-definition videos on your smartphone or tablet. You’ll additionally control PowerDVD through your mobile device, victimization it sort of a remote. Using PowerDVD, you have got the aptitude to extend the standard of all of your media playback, as well as your home videos. It does not matter wherever these files are keeping – on your laptop, YouTube or a network device. If you are employing a DVD, you'll improve the video quality for your high-definition show. You’ll even apply a layer of 3D to a second video or pic. this can provide your media an additional part of greatness. To begin with, PowerDVD has comprehensive Blu-ray support, therefore it will lawfully play any commercially made BD while not having to decipher intrinsic Blu-ray copy protections – very similar to a standard Blu-ray player. The computer code additionally retains all bd menus and supports BD-Live, a Blu-ray feature that utilizes an online affiliation to access moving picture extras not keep on the particular disc. To boot, the software offers support for 3D Blu-ray movies, though you need to have compatible 3D displays and 3D glasses to look at any 3D moving picture content. You ought to remember that solely the extremist edition of PowerDVD is capable of each Blu-ray and 3D playback. The quality and deluxe editions don't support 3D. Given that PowerDVD 14 extremist is Blu-ray player software from a well-known international enterprise, it's hardly shocking the software system is supplemented with a variety of versatile client service choices. These embrace support via email, a web contact kind and a toll-free number. We found the particular data concerning PowerDVD we tend to were seeking within the FAQs provided on the CyberLink web site. A user guide, tutorial and system needs for the software system may be found there. Moreover, you'll access a mental object directly from the PowerDVD 14 interface. You’ll additionally get facilitate from different users through the PowerDVD forum. 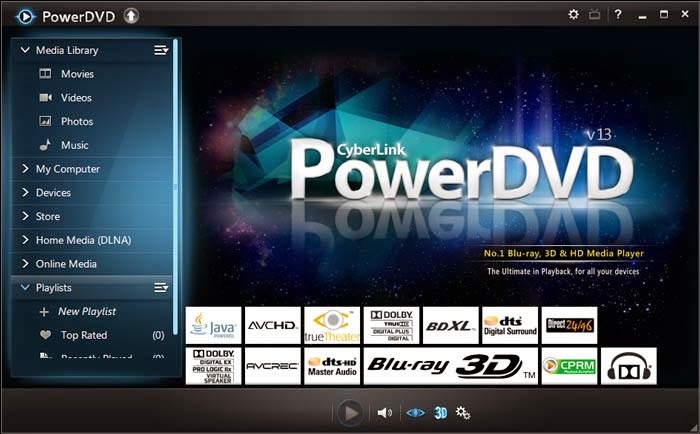 With a collection of made options, a pointy interface and intuitive navigation, PowerDVD 14 extremist is that the pinnacle of Blu-ray player software system. Not solely will it deliver cinema-quality Blu-ray playback, however the software system is additionally a universal, varied media player that permits you to manage all of your media content simply. Infographic is considered as one of the most workable trick to make your work viral on the internal. Since, people like informative content with eye-loving graphics. It is proved by a survey that people understand and catch more knowledge when it is presented with awesome graphics layout and images. 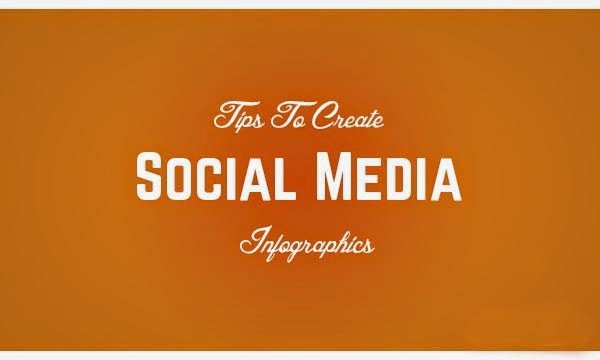 Therefore, today I am going to share the tips for creating Social Media Infographic. Infographic is a kind of image article where you write your complete content into image with the use of awesome graphics. There are many tips that can be used to create Infographic of different topics, but today we only are going to tell about the tips for creating Social Media Infographic. This is the important first of you should know the of your Infographic. When you are creating social media Infographic then you are supposed to give an appealing name to it. You should give a catchy name, that can attract the users towards it self and compel the readers to go to its end. This is the important you should include the most meaningful, helpful and informative content to your Infographic. The infographic doesn’t mean that you should only fill up your infographic with the useless images. When creating Social Media infographic, you need to add the complete information related to the Social Media and its boundaries. Introduction matters, you are supposed to give a happening and connected start that will compel your readers to read it. I would give you an extra tip here that you should discuss the famous Social Media sites. Since, you are creating Social Media Infographic. Your start will make your readers to go through your infographic or to leave it from the beginning. So, make it connected and put your complete efforts to make it awesome. After having informative content, right title for it and perfect beginning. It is time to go for a plan. Now, you have to plan a format of adding that information into an infographic. You should use your mind that how to put the information into an infographic, how to manipulate and how to connect? These all things should be used to plan a format of your infographic and you should use your plan with complete smartness. Now, the main part begins is to visualize your plan. Here you need to think like a graphics designer. You have visualize your complete content and information according to your plan. Plan in term of using of text. You need to use the Social Media fonts, Images and format to give the design to your infographic. Since, you are going to create Social Media Infographic. You may include the Social Media polls, logos, maps and other thing to put a first appearance on your readers and tell them that you are going to talk about the Social Media. These are the tips for creating Social Media Infographic. I hope you guys have learned a lot from this article. If you have any questions or queries left then you may leave your queries and questions in the comments box. Your questions and queries will be welcomed here. If you have liked this article then do share it on Social Media sites and likes us as well. Your shares and likes mean a lot to us. Developers use different methods to develop Android Apps. Today we are going to share one of the famous method that is being used to develop the Androids. Android offers a plugin for the Eclipse which is called Android Development Tools (ADT). The ADT plugin provides you the best and powerful environment in which Android apps can be developed. The ADT Eclipse simply extends the power of Eclipse and let you develop Android apps and projects quickly. It saves your time while developing apps, as it is the powerful plugin that let your job done quickly. Since, you have now known much about ADT Eclipse, now, it is my duty to teach you about the configuration of ADT plugin for Eclipse. You are supposed to follow the below steps to configure ADT plugin for Android Eclipse. However, before that make that you have installed Android Eclipse at your device, if Eclipse is not installed on your device that ADT plugin cannot be configured on your Android phone. So, before, following the steps install Android Eclipse if not installed and if already installed then follow the below given steps. Now, lets come to the main objective of the post, follow these steps to configure ADT plugin for Eclipse. Now Click on Add, right from the top right corner and from there you’ll see two boxes one of name box and second of location. Enter ADT Plugin in the name box and in the location, enter the below given URL. The following URL is being used for secure connections. Now, in the opened Dialog box, select the check box next to Developer Tools and Click Next. Afterwards, Read and Accept the license agreements, then Click Finish. In some cases after finishing people receive a warning like this, “ The authenticity or validity of the software can't be established”. Then do not worry and Click OK. When your installation get completed, Restart the Android Eclipse. Now your installation is completed it is time to configure ADT plugin. After the restarting of Eclipse you must specify the location of your Android SDK directory. Now, you have to go through the below points, to learn the complete method of configuring ADT Plugin. From the Perspective icon, Click on Web in the top right hand corner. Afterwards, browse the resulting project file, right click tiapp.xml in the root of the project and from there Select Open With and then TiApp Editor. Afterwards, Check the Android SDK section or area of the Titanium Comparability Matrix, just to determine that which Android versions are compatible with your chosen Titanium SDK. Furthermore, Select Windows from Studio Menu and then Select Preferences then Preference for MAC OS X to open the preference dialog. Select the target Android SDK from the list with keeping in mind that the version is compatible with Titanium SDK version which you have chosen, as mentioned above. Now Click the Browse to configure the Android SDK Home. In last Click on OK to save Preferences changes. Congratulations, after going through such big and massive steps your Android ADT plugin for Eclipse is successfully configured. You may use Android ADT plugin to develop any sort of Android applications very easily, if you have expertise in it. These was the complete method from installing to configuring about configuring the ADT plugin for Eclipse. The installation to configuring complete method was added, since, the half method may confuses you and you get distracted. Hence, if you have any questions or queries related to this tutorial then feel free to approach us, we will get back to you and will try to remove your all queries and answer your all related questions as soon as possible. Additionally, if you have liked this article then do not forget to share it on social media sites and like it by your self. Social media shares can help us to raise our voice across the globe. Android phones are very much prominent among the people nowadays. Almost every mobile phone user prefer Androids rather than any other phones. The main reason of preferring Android mobile phone is their Android apps and features. Many of you might not be aware from Android Emulator. So, let me explain that what actually Android Emulator is? Android Emulator is a virtual mobile device that runs on your computer. It simply creates a virtual mobile device on your computer and let you to run Android apps on your PC. 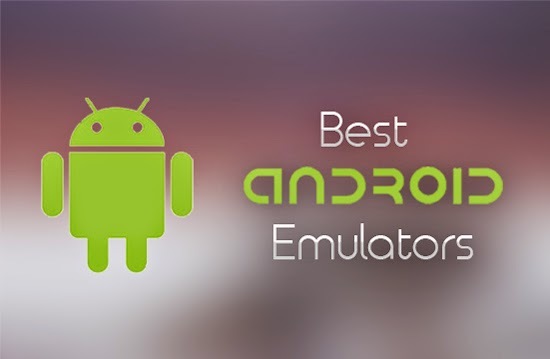 These emulators are very much awesome and great, and have helped the people to use their favorite android apps right on their PC. Since, it is mentioned above that many computer users want to check or use Android Apps on their computer, so, Android Emulators help them to check or use those apps on their PC. These emulators are giving the experience of using Android on your PC without having an Android phone. There are Android emulator for every Android update ( 4.0, 4.1, 4.2 e.t.c.) these emulators works on the basis of Android version. Means if you’ll use any of the Android version then it will support the apps of that Android version. Emulator Android 4.3 will support the features and apps of Android 4.3 and will let those app play on your PC. You may use different software to use emulator Android 4.3 on your PC. One of the famous software to use emulator Android 4.3 are BlueStack and Virtual Box. You may find some more by proper surfing. Emulator Android 4.4 is actually for Android Kitkat. Since, android 4.4 indicates the Android Kitkat. It will enable you to use the apps and features of Android Kitkat on your PC. You may get it by Android SDK installation. You may check and use Android kitkat apps on your PC by these emulator Android 4.4 which creates a virtual Android device. I hope that you have liked this articles and your queries related to Android emulator and emulator Android 4.3 and emulator android 4.4 are cleared. Hence, if you still have any confusion or questions then you may leave your queries and questions in the comment box. I shall get back to you as soon as possible. Furthermore, if you have liked our article then do not forget to share this with your friends and like it by yourselves. Your shares can help many people who may have any confusions related to emulators. Your shares and likes mean a lot to us.